Oh Chris – I loved the 30 Day Challenge on the gardening buddies – our feathered friends who help us in the garden. Not only do they help us in the garden, but entertain us and join in our delight! I want to share my little friends with you. We were all enjoying an apple crumble together. The wagtail was first – I could not believe it! Then came the Cape Sparrow and the cheeky Cape Weaver. It was such a special moment! I love the birds in my garden!! 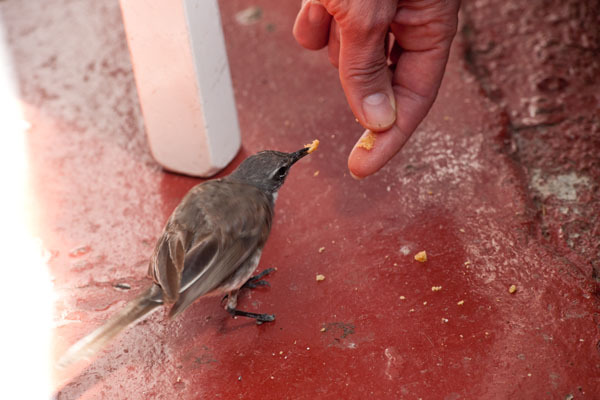 How amazing…I want my birds to do that…. It’s so fun to have these friends around! Diana beat me to it … but I think I should confirm here that Barbie is a ” bird whisperer”. I’ve never seen anything like it, they just gravitate towards her. It is so weird! Almost like they want to tell me something! I get the distinct feeling that I resonate with them. Yea, a bird whisperer! I like that! 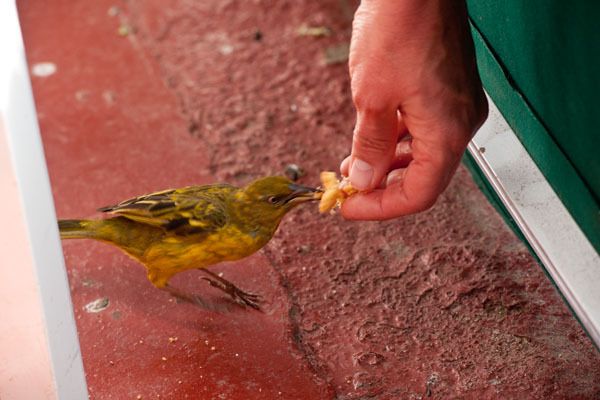 What tame birds. I’ve been feeding our locals for years and the never come that close. Maybe still wary of the cats! That is adorable. I used to have doves I could hand feed, but they are no longer here thanks to the hawks. But the finches and sparrows stay too far away. That’s incredible!! Maybe the next time I make a pie, I should sit outside with a bit and see who shows up!!! Amazing! I don’t understand how you get birds to come so close to you. 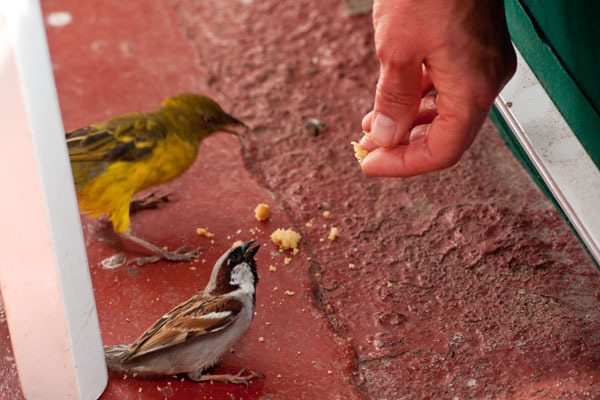 Even the beggar sparrows that I see at the restaurant areas of zoos and other outdoor public spaces don’t come that close to people. I think you should keep the feather duster handy in case they get too assertive and go for the crumble right out of the pan. Haahaa!! I like that!! I don’t know – I guess they see that I’m connected to my chickens so they see no fear. I pick up my chickens and hug and kiss them and they follow me like dogs. So the other birds follow.